The largest “ride share” companies are reported to have proposed setting up a fund to rescue taxicab drivers who are struggling to make a living since the ride share services hit town. If you’re a faithful reader, and God bless you for that, you’ll remember that last month I wondered why a competitor would do such a thing. It now seems pretty obvious. Let us run amok with however many vehicles we want and we’ll pay a burial fee to the taxicab industry. It would appear that the Uber and Lyft drivers also see the need to curtail the number of vehicles since they’ve aligned with the taxicab drivers to encourage passage of the cap. Well, not actually a cap, but a moratorium on issuing new vehicle permits. Without said permits, Uber or Lyft wouldn’t be able to add vehicles unless they’re wheelchair accessible. Wasn’t this inevitable? Had the “ride share” companies paid a little attention to something beside their internal scandals they might have heard the complaints of their own drivers. They needed to realize that there must be a balance between company profit, driver income and response time. Yes, it’s great that the big apple pie is huge and you want your share, but driver income is what determines the sustainability of the industry. Well, until driverless cars are a reality, it is. Lyft, reporting a twenty five percent turnover every year, shouts right out loud that you can’t make a living driving for Lyft even though people keep trying. It may come to pass that “shared ride” drivers will be able to make a reasonable living, but it won’t be because the companies controlled their pursuit for maximum financial gain. It appears that, without strong legislative encouragement, the ride share companies will close an eye on what their drivers earn before saturating the city with more and more vehicles. The information needed to make a determination on how many vehicles it takes to provide good service to the community and maintain a reasonable driver income should already be in the company’s computer systems. It’s really pretty simple, either you control it or the government will help you control it. The freeze is temporary, so you have time to figure it out. Reportedly, Miami Dade County was getting sued by their medallion holders in federal court. The medallion holders were making the same basic arguments that medallion holders across the nation have made that the cities should have kept out unlicensed competitors. Unfortunately, the judges did not agree and threw out the suit. The judges stated that the medallion didn’t shield the taxicab owners from competition. I think suing the county for fraud would be more appropriate. Sorry Harry, the chances are slimming. The chances of a taxicab driver picking up his former sweetheart in the rain are fading fast. Reports are that Waymo is getting closer to presenting a fare structure to their customers in Phoenix. Currently listing their price numbers as placeholders, Waymo is testing the waters on what they would charge for the service when it goes to pay for a ride. They’re reported to be expanding the group of test riders to include transit riders going to and from transit centers. The target date for startup of the for profit taxi service is slated for later this year. While shared ride services have hurt the taxicab drivers across the country Waymo looms as the coup de grâce. Reports are that Red Cap of San Diego has closed its doors. The company, established in the 1950’s is reported to be another victim of that non taxi service Uber. The company experimented with an app early on which is reported to be Flywheel, but it never took off. Despite the city scaling back the amount of insurance required by taxicabs, the income simply wasn’t there to sustain the company. While the current manager of the family owned business didn’t blame Uber directly, he stated that they “took a bite.” Among the other issues was my personal favorite, cumbersome regulation. It seems it’s hard to out swim the sharks with an anchor strapped to your back. What have we learned from Uber? On various fronts, the idea that government regulation stifles innovation and adds to the expense of goods and services has proven to be accurate. 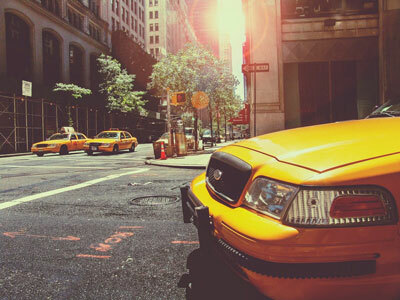 The clear example of the New York City taxi medallion is a simple enough case to make. The taxicab medallion owner pays a million dollars just to provide a service. That million dollars is easily spent by the city but the citizens keep paying and paying as the medallion owner has to charge the driver, if the driver is not the owner, enough to cover the cost of the medallion and any interest on the note required to purchase the medallion. New Yorker City residents and visitors have paid inflated taxicab fares for decades to cover these regulations which I’ve referred to as the taxi tax in the past. Now comes Uber, without the burdensome regulations and crushes the taxicab industry. What could be plainer? While we all lament the fate of the New York City taxicab industry, what about the liveries and car services. How are they faring? Indisputably, some regulation is necessary for both driver and vehicle. However, there are also regulations instituted to solve questionable problems while real problems go unresolved. Magnify that from the local level of New York City to the massive amount of federal regulations and we can see that Americans spend a fortune as a result of government controlling our lives. Soon we will be making a choice on which way our country is going to go. More burdensome regulation to solve dubious problems or less burdensome regulations and more liberty. Choose wisely, America, your fundamental rights are at stake.